9:30 - 9:45 Challenge results and award ceremony. V. Ponce Lopez, B. Chen, A. Places, M. Oliu, C. Corneanu, X. Baro, H. J. Escalante, I. Guyon, S. Escalera. ChaLearn LAP 2016: First Round Challenge on First Impressions - Dataset and Results. 10:20 - 10:40 P. Tsatsoulis, P. Kordas, M. Marshall, D.Forsyth, A.Rozga The static MultiModal Dyadic Behavior Dataset for Engagement Prediction. 10:40 - 11:00 B. Chen, S. Escalera, I. Guyon, V. Ponce - López, N. Shah, M. Oliu. Overcoming Calibration Problems in Pattern Labeling with Pairwise Ratings: Application to Personality Traits. 11:00 - 11:20 C. L. Zhang, H. Zhang, X. S. Wei and J. Wu. Deep Bimodal Regression for Apparent Personality Analysis. 1st place of the Challenge. 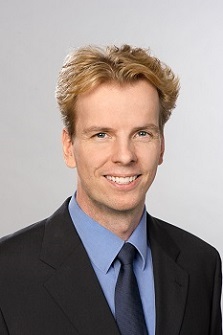 Björn W. Schuller is Full Professor and Chair of Complex and Intelligent Systems at the University of Passau/Germany, Reader (Associate Professor) in Machine Learning at Imperial College London/UK, and the co-founding CEO of audEERING. Further affiliations include HIT/China as Visiting Professor and the University of Geneva/Switzerland and Joanneum Research in Graz/Austria as an Associate. Previously, he was with the CNRS-LIMSI in Orsay/France and headed the Machine Intelligence and Signal Processing Group at TUM in Munich/Germany. There, he received his diploma in 1999, doctoral degree in 2006, his habilitation in 2012, and was entitled Adjunct Teaching Professor – all in electrical engineering and information technology. Best known are his works advancing Intelligent Audio Analysis and Affective Computing. Dr Schuller is President Emeritus of the AAAC, elected member of the IEEE SLTC, and Senior Member of the IEEE. He (co -)authored 5 books and >500 peer reviewed technical contributions (>10,000 citations, h-index = 49). Selected activities include his role as Editor in Chief of the IEEE Transactions on Affective Computing, Associate Editor of Computer Speech and Language, IEEE Signal Processing Letters, IEEE Transactions on Cybernetics, and IEEE Transactions on Neural Networks and Learning Systems. Professor Schuller was General Chair of ACM ICMI 2014, Program Chair of ACM ICMI 2013, IEEE SocialCom 2012, and ACII 2015 and 2011, as well as organiser of the INTERSPEECH 2009-2016 annual Computational Paralinguistics Challenges, the 2011-2016 annual Audio/Visual Emotion Challenges, and the MAPTRAITS Personality Challenge. He won several awards including best results in research challenges such as CHiME, MediaEval, or of ACM Multimedia. In 2015 and 2016 he has been honoured as one of 40 extraordinary scientists under the age of 40 by the World Economic Forum. 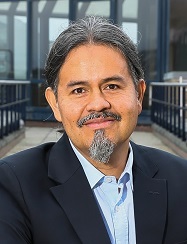 Prof. Daniel Gatica-Perez directs the Social Computing Group at Idiap Research Institute and the Swiss Federal Institute of Technology in Lausanne (EPFL), Switzerland. His work integrates methods from ubiquitous computing, social media, machine learning, and social sciences to understand human and social behavior in everyday life. His research has studied connections between behavioral cues and human traits and states in social video and face-to-face interaction. Since January 2015, I am Professor of Affective Computing at the newly created (merged) Faculty of Education, Science, Technology and Mathematics at the University of Canberra. Before that, I was an Associate Professor in Software Engineering at the same Faculty and prior to that an Assistant Professor (Senior Lecturer) at the Faculty of Information Sciences and Engineering, University of Canberra from January 2010 until December 2012. Previously, I was also employed as a Research Fellow and Senior Lecturer since December 2008 at the same Faculty. I lead the Vision and Sensing Group and am Deputy Director of the Human - Centered Computing Laboratory.. My research focus continues to be in the areas of face and facial feature tracking and its applications, and more generally in Computer Vision, Affective Computing and Multimodal Human-Computer Interaction. I am also holding an adjunct research fellow / lecturer position with the Department of Information Engineering of the Research School of Information Sciences and Engineering (RSISE) at the Australian National University (ANU). I was an elected executive member of the Australian Speech Science and Technology Association (ASSTA) from December 2004 until September 2008. I am a member of the Human Communication Sciences Network (HCSNet), an ARC research network bringing together researchers and other interested parties on how humans communicate with each other and with computers. It was established in January 2005 for 5 years. I am also a member of the IEEE (Computer Society, Signal Processing Society), the International Speech Communication Association (ISCA), and the Australian Pattern Recognition Society.